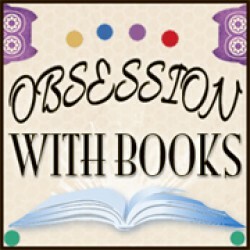 Www.obsessionwithbooks.blogspot.com I am an avid reader from Sydney, Australia with a love of all things book related. I love to read Young Adult (UF, Paranormal, Fantasy, Sci-Fi, Contemporary and Dystopia) with the odd adult Paranormal or Contemporary romance thrown in at times. Obsession with Books was started in March 2011.